Takeaways: Learn how product development and brand loyalty research can be informed by new thinking about the “science of personality.” Get ready for a quantum leap! How does your personality shape your life, and what, if anything, can you do about it? Brian Little is a personality expert and one of the most delightful, charming speakers on the planet: there’s a reason he was elected "Favorite Professor" at Harvard for three consecutive years. His book Me, Myself, and Us explores who we are and how we can thrive in light of our "nature." And, he helps us understand the people we encounter, work with, and love. For marketing researchers, his work has uncovered new insights that amplify, but also sometimes contradict, traditional personality theory and invigorate thought on product development and brand loyalty. Little's book, Me, Myself, and Us: The Science of Personality and the Art of Well-Being, was described by Shawn Achor as: "Insightful, clever and practical. Professor Little is a genius, making personality psychology not only relevant but essential knowledge in the modern world. This book is one 'aha' moment after another, each rocking your world and upending the way you think about your coworkers, your relationships and your life." Little is a fellow of the Well-being Institute at Cambridge University, where he also lectures in the Department of Psychology and the Cambridge Judge Business School. He is a Distinguished Research Professor Emeritus at Carleton University. Little has taught at Carleton, McGill, Oxford, and Harvard Universities. His course on personality at Harvard was so popular that he was elected as a “Favorite Professor” by the graduating classes for three consecutive years. A pioneer in the field of motivation and personality, Brian Little focuses on the personal interests, large or small, that drive individuals at different stages of life and often push them to act out of character. In his landmark book Me, Myself, and Us, Little explores these personal interests and explains how they influence daily behavior and decision-making. For marketing researchers, his work has uncovered new insights that amplify, but also sometimes contradict, traditional personality theory and that invigorate thought on product development and brand loyalty. MRA’s Insights & Strategies Conference was reimagined for 2016 to teach new skills, approaches and techniques to enable marketing researchers to more successfully promote products, services and ideas – and advance their careers. New for 2016 (you spoke, we listened): fewer but higher quality sessions that are practical and applicable today, more thought leadership, and a series of incredible workshops and networking opportunities at no additional charge. 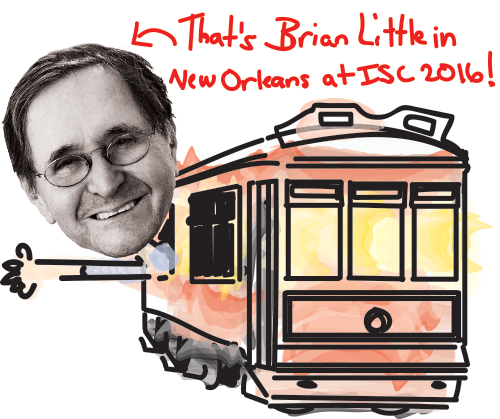 ISC will be held May 18-20 at the New Orleans Hilton Riverside. Join us!